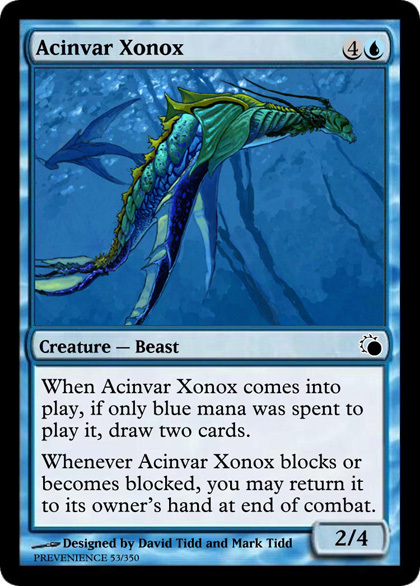 Acinvar Xonox Creature – Beast When Acinvar Xonox comes into play, if only blue mana was spent to play it, draw two cards. 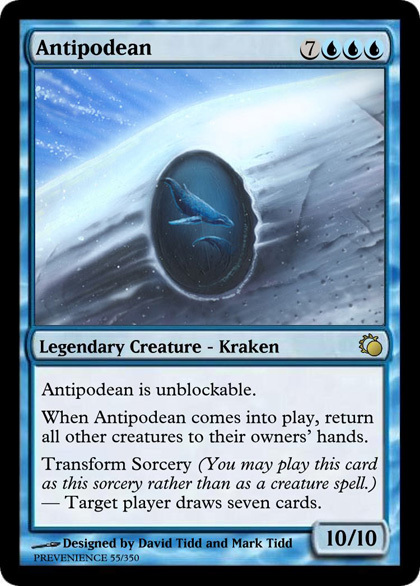 Antipodean Legendary Creature - Kraken Antipodean is unblockable. 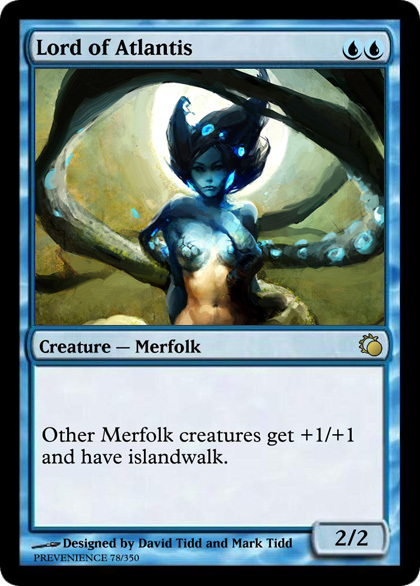 When Antipodean comes into play, return all other creatures to their owners’ hands. 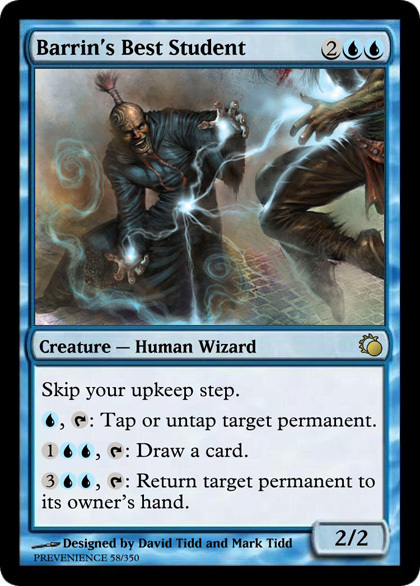 Barrin’s Best Student Creature – Human Wizard Skip your upkeep step. 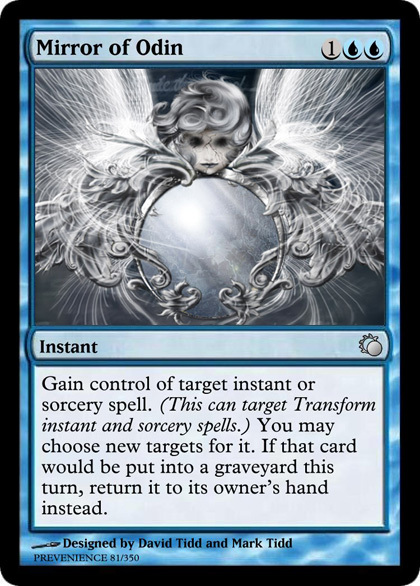 , : Tap or untap target permanent. 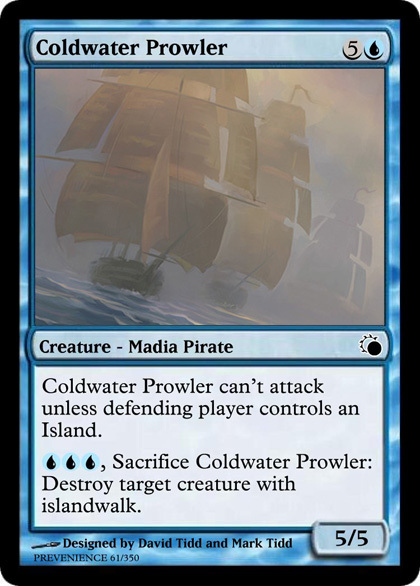 Coldwater Prowler Creature - Madia Pirate Coldwater Prowler can’t attack unless defending player controls an Island. 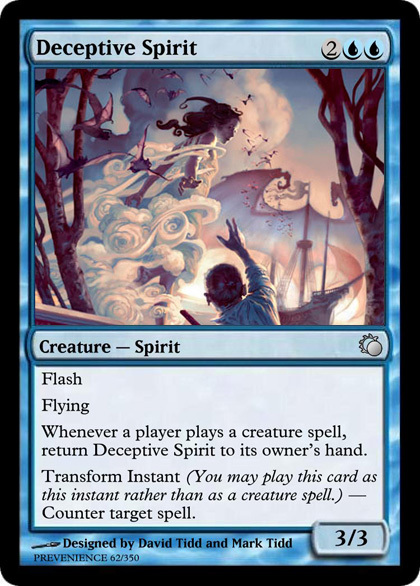 Whenever a player plays a creature spell, return Deceptive Spirit to its owner’s hand. 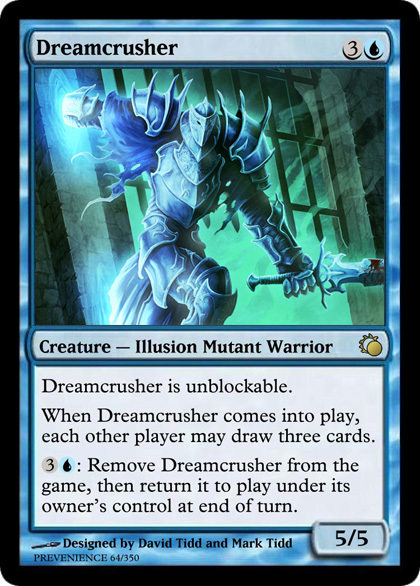 Dreamcrusher Creature – Illusion Mutant Warrior Dreamcrusher is unblockable. 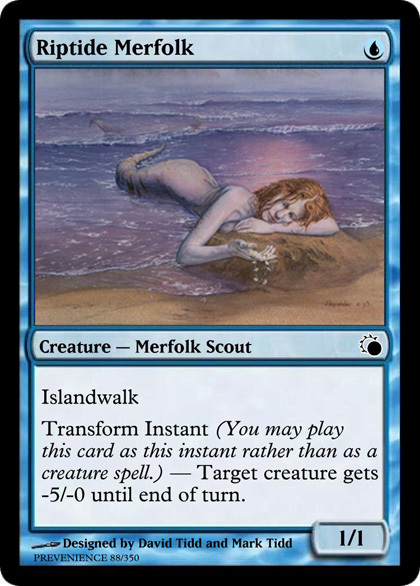 When Dreamcrusher comes into play, each other player may draw three cards. 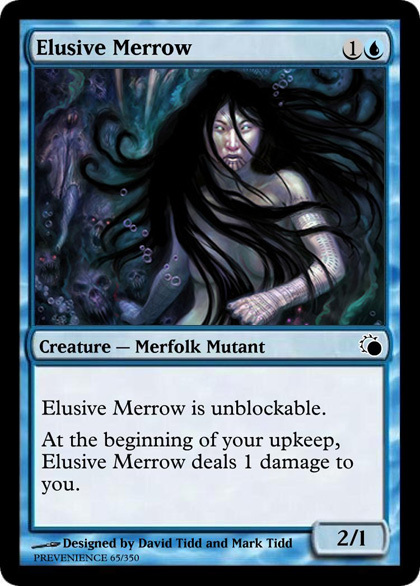 Elusive Merrow Creature – Merfolk Mutant Elusive Merrow is unblockable. 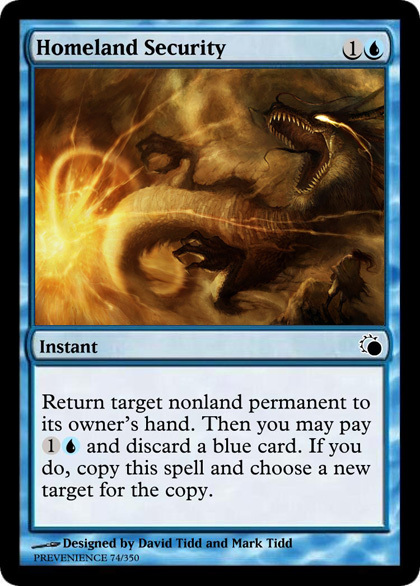 : Until end of turn, change the text of enchanted creature by replacing all instances of one basic land type with another. 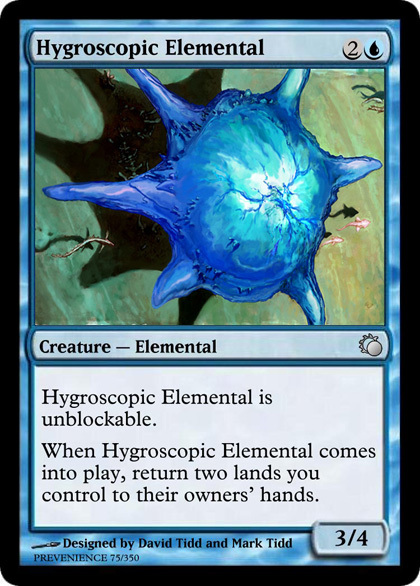 Hygroscopic Elemental Creature – Elemental Hygroscopic Elemental is unblockable. 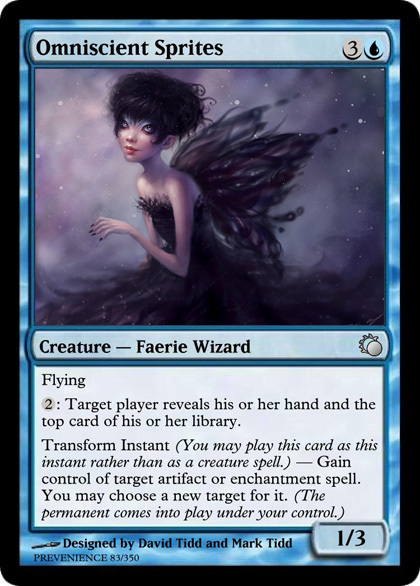 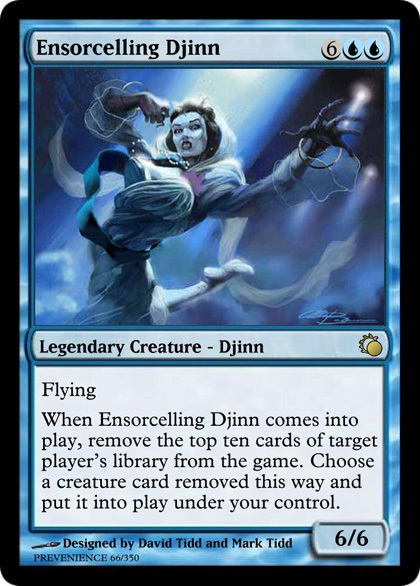 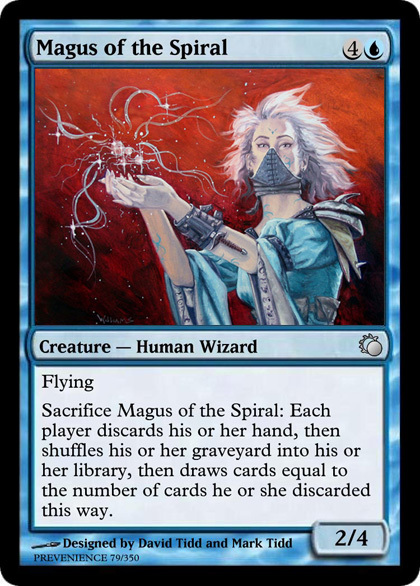 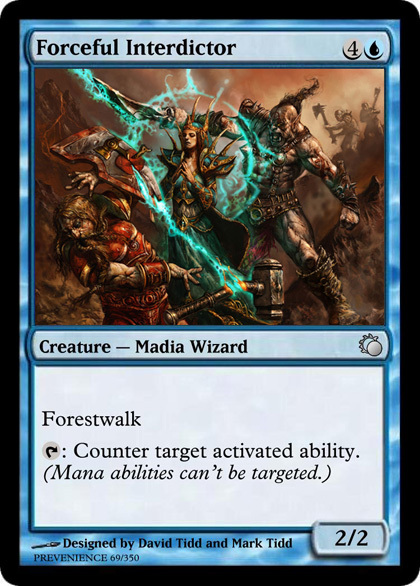 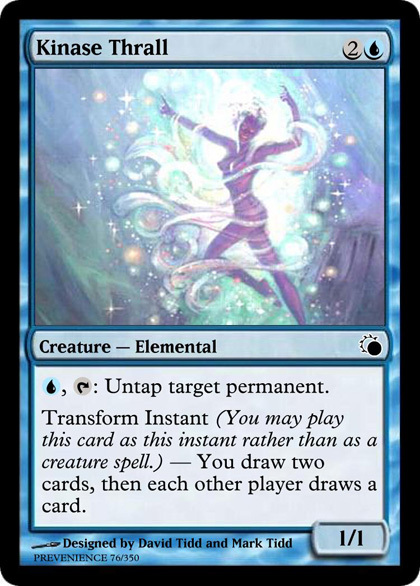 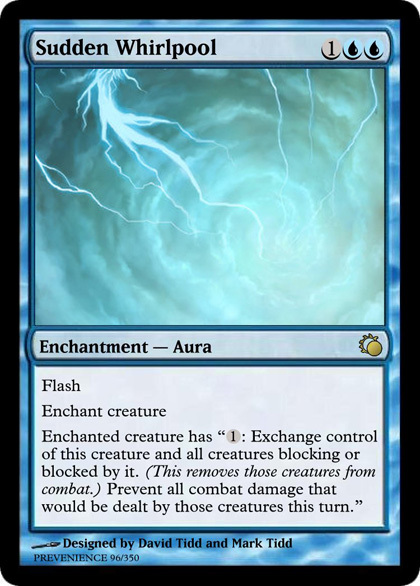 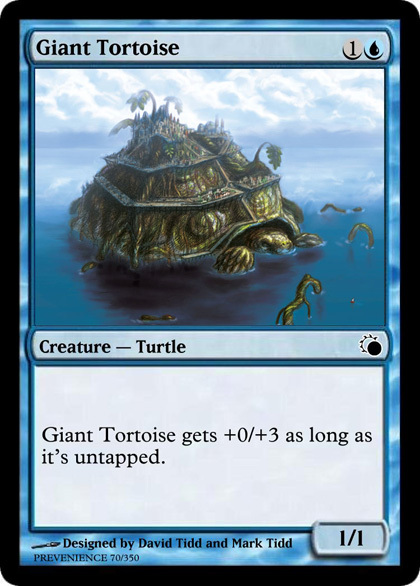 Kinase Thrall Creature – Elemental , : Untap target permanent. 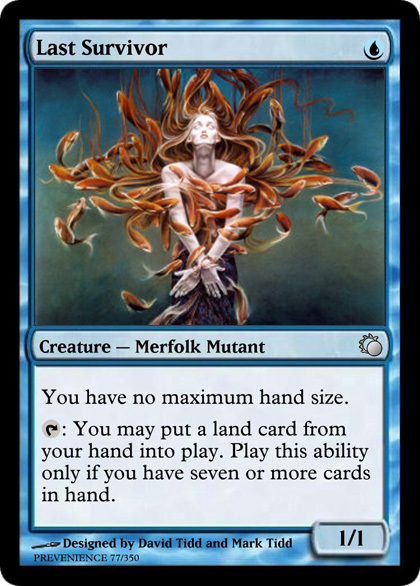 Last Survivor Creature – Merfolk Mutant You have no maximum hand size. 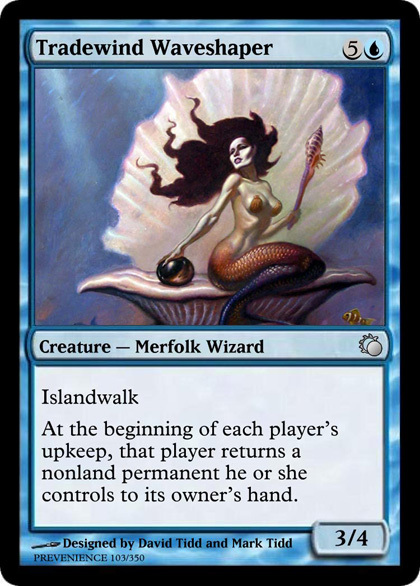 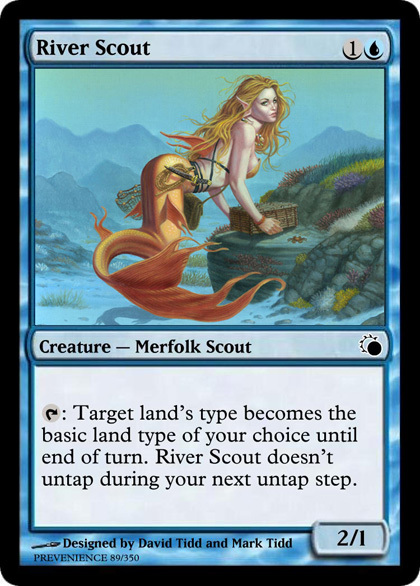 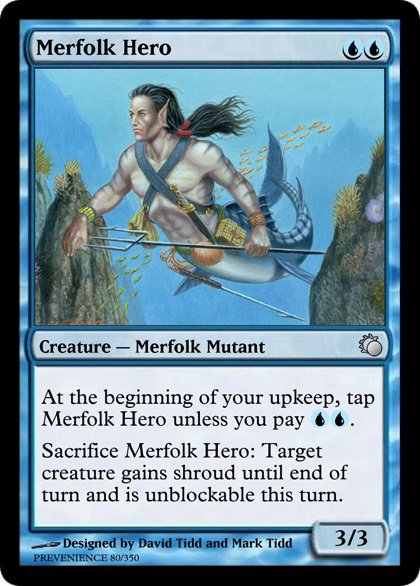 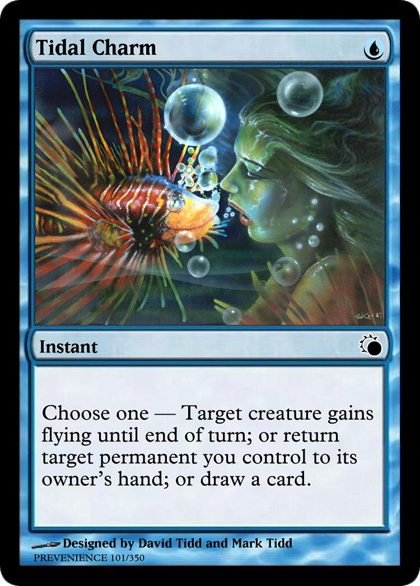 Merfolk Hero Creature – Merfolk Mutant At the beginning of your upkeep, tap Merfolk Hero unless you pay . 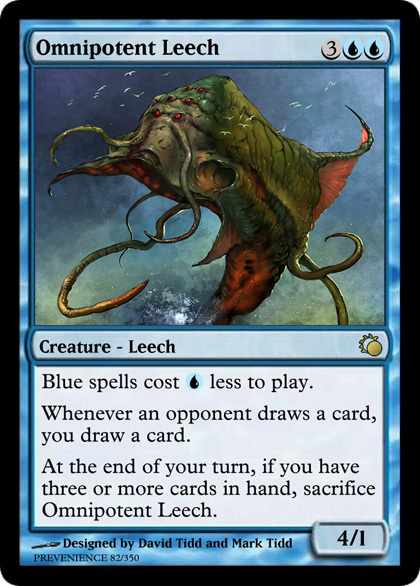 Omnipotent Leech Creature - Leech Blue spells cost less to play. 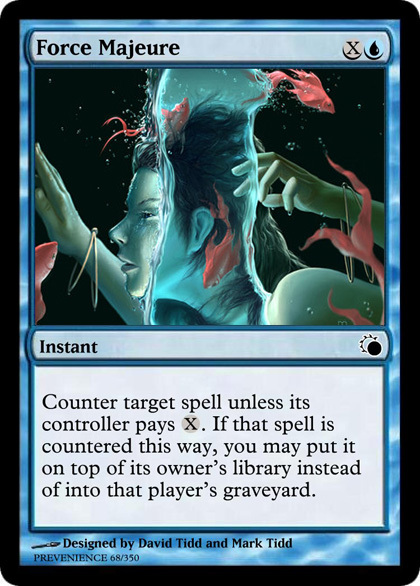 Whenever an opponent draws a card, you draw a card. 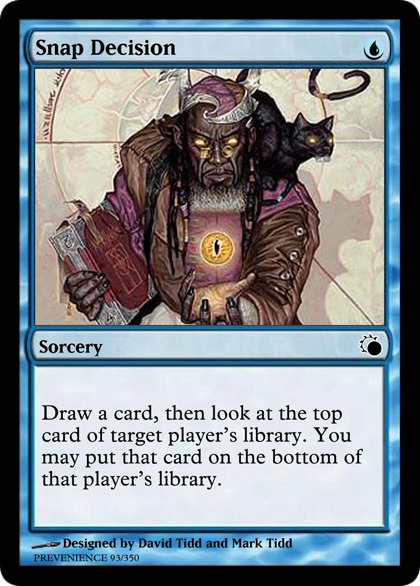 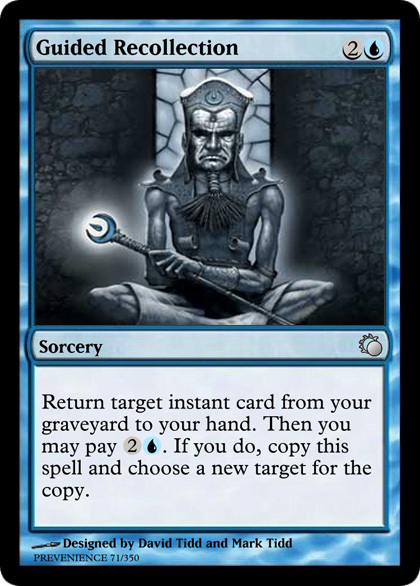 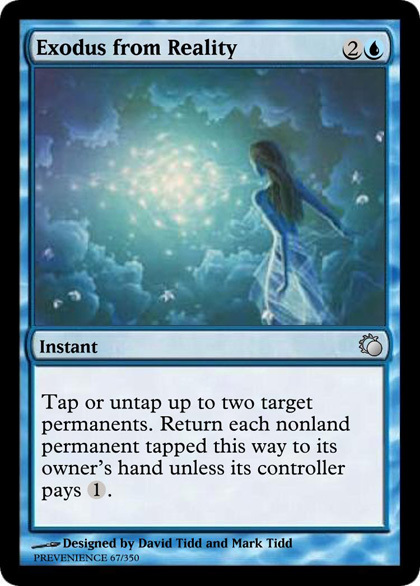 : Target player reveals his or her hand and the top card of his or her library. 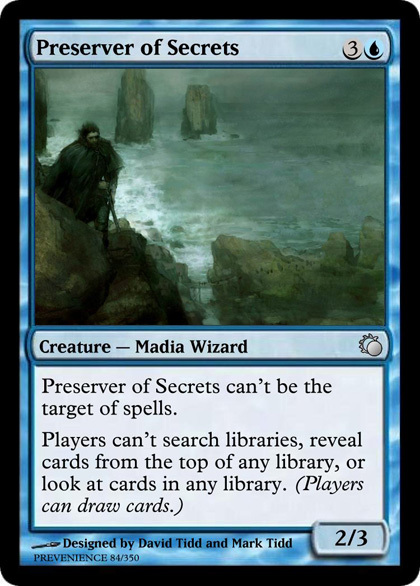 Preserver of Secrets Creature – Madia Wizard Preserver of Secrets can’t be the target of spells. 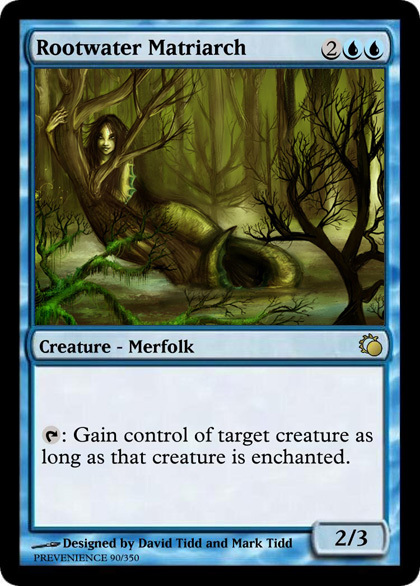 Quiet Soothsayer Creature — Merfolk Shaman At the beginning of your upkeep, sacrifice Quiet Soothsayer unless you pay . 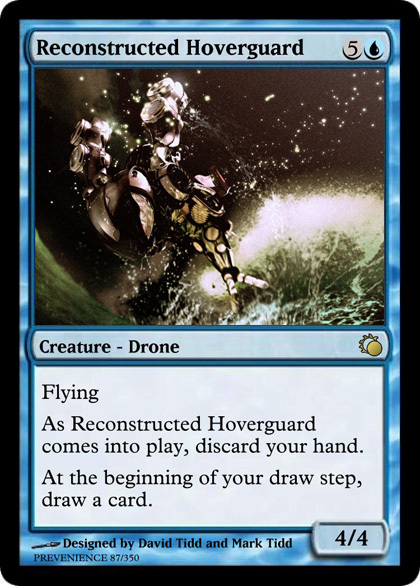 As Reconstructed Hoverguard comes into play, discard your hand. 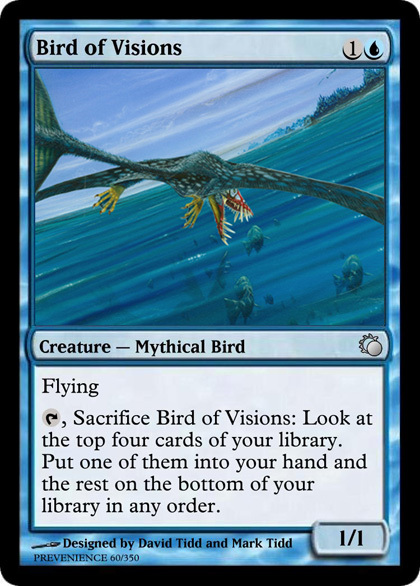 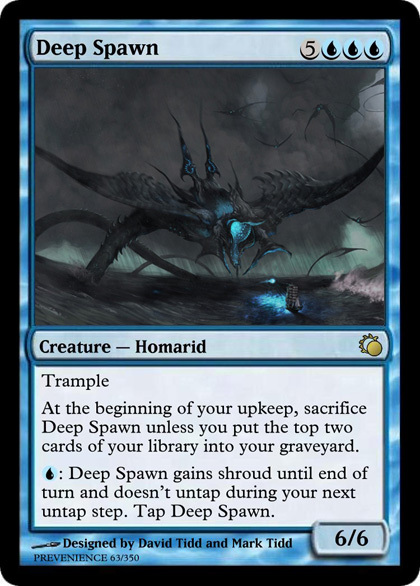 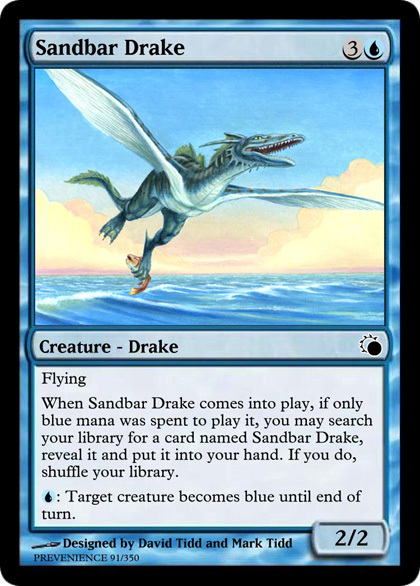 When Sandbar Drake comes into play, if only blue mana was spent to play it, you may search your library for a card named Sandbar Drake, reveal it and put it into your hand. 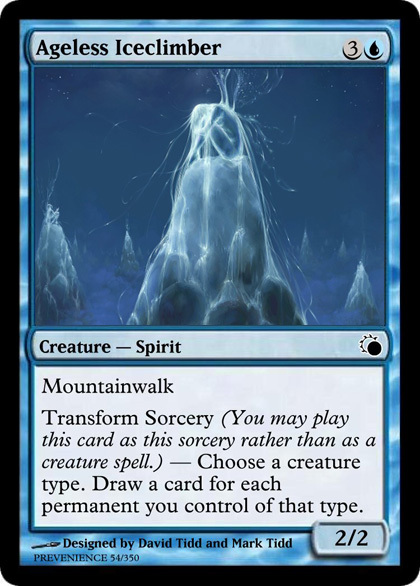 If you do, shuffle your library. 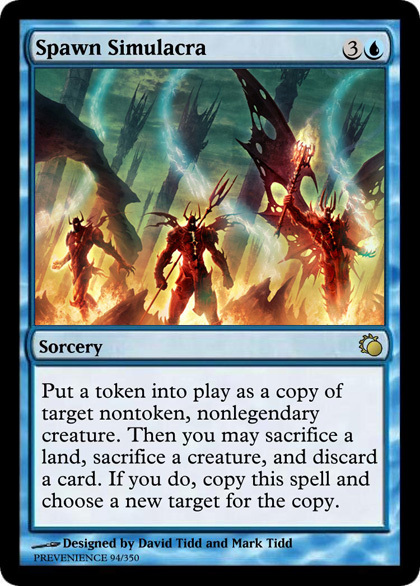 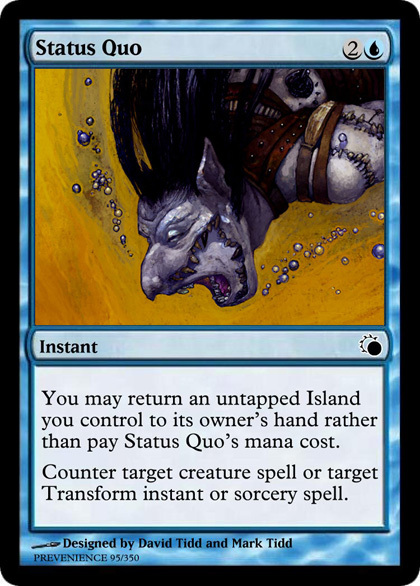 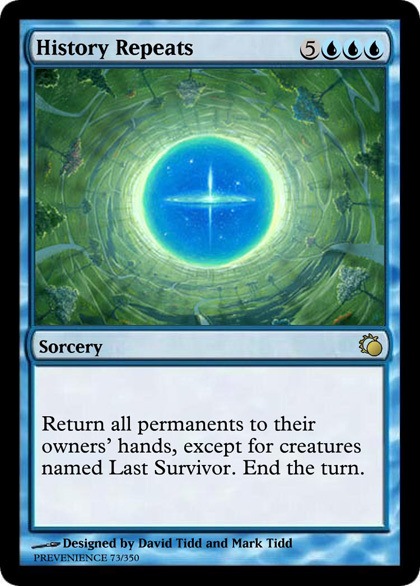 Status Quo Instant You may return an untapped Island you control to its owner’s hand rather than pay Status Quo’s mana cost. 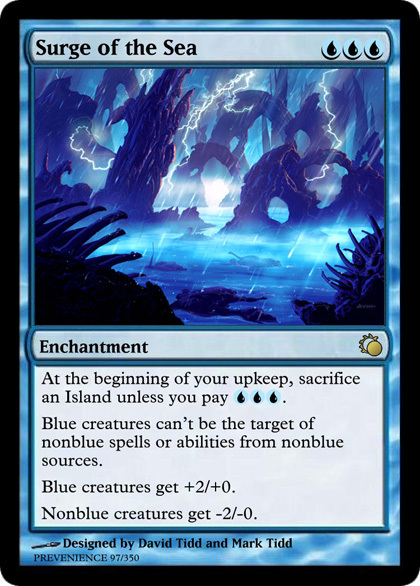 Surge of the Sea Enchantment At the beginning of your upkeep, sacrifice an Island unless you pay . 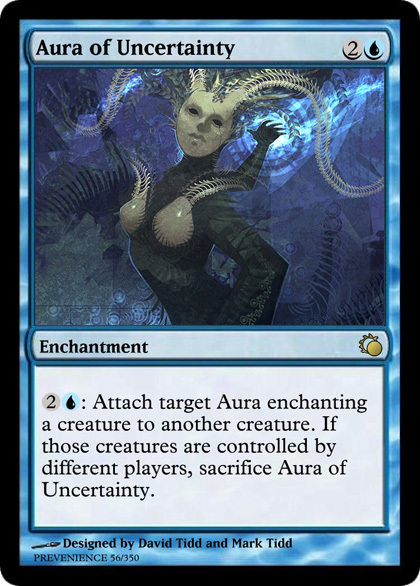 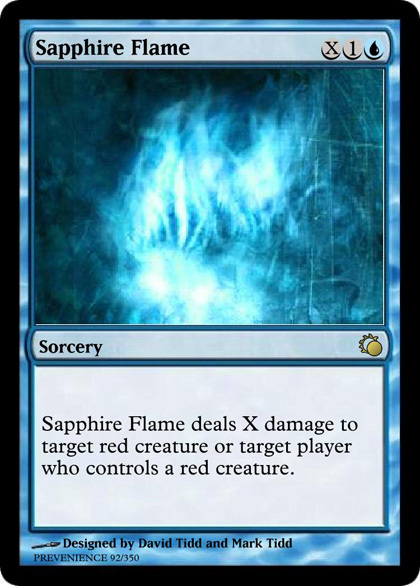 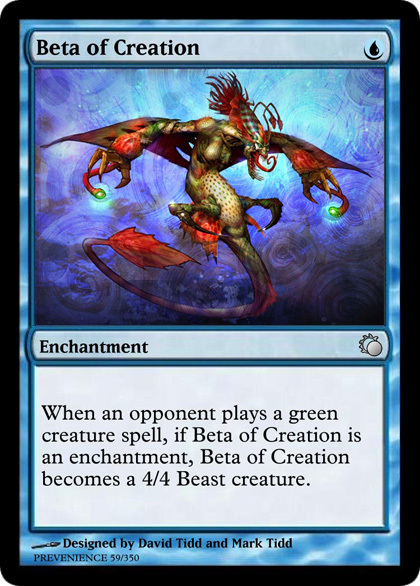 Blue creatures can’t be the target of nonblue spells or abilities from nonblue sources. 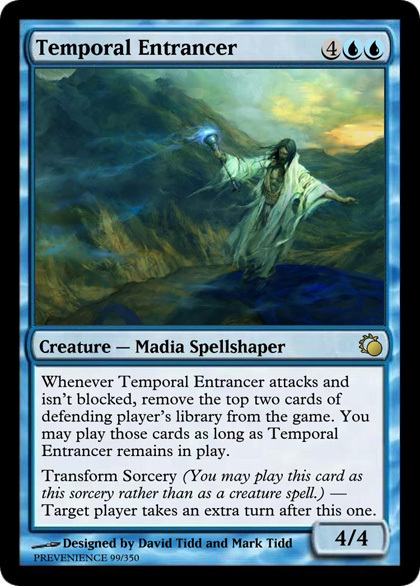 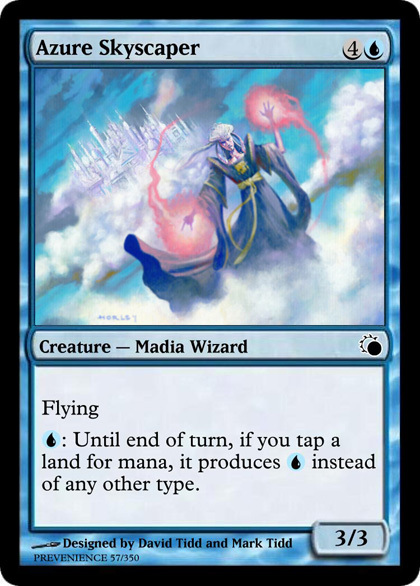 Temporal Entrancer Creature – Madia Spellshaper Whenever Temporal Entrancer attacks and isn’t blocked, remove the top two cards of defending player’s library from the game. 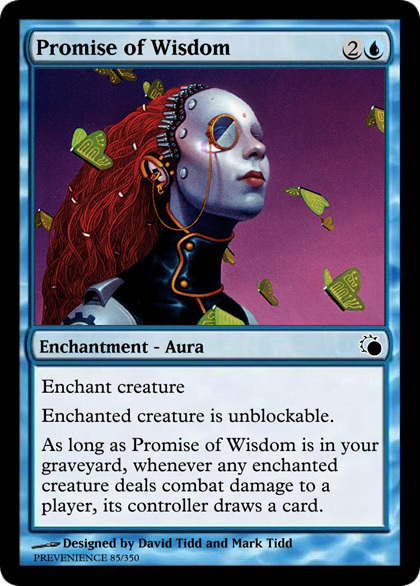 You may play those cards as long as Temporal Entrancer remains in play. 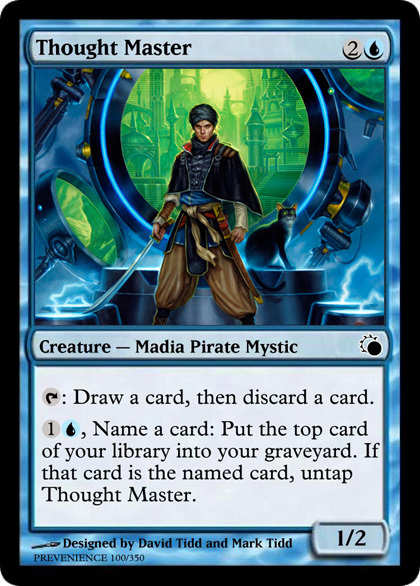 Thought Master Creature – Madia Pirate Mystic : Draw a card, then discard a card. 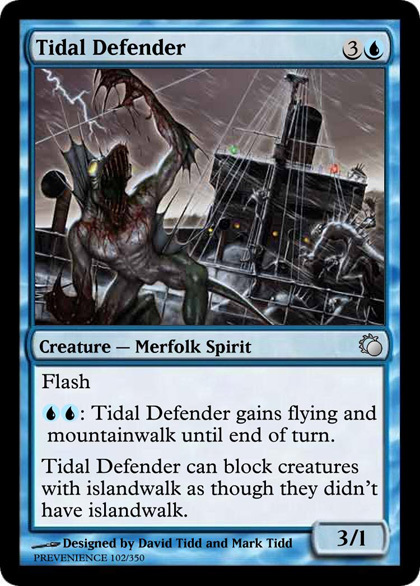 : Tidal Defender gains flying and mountainwalk until end of turn.